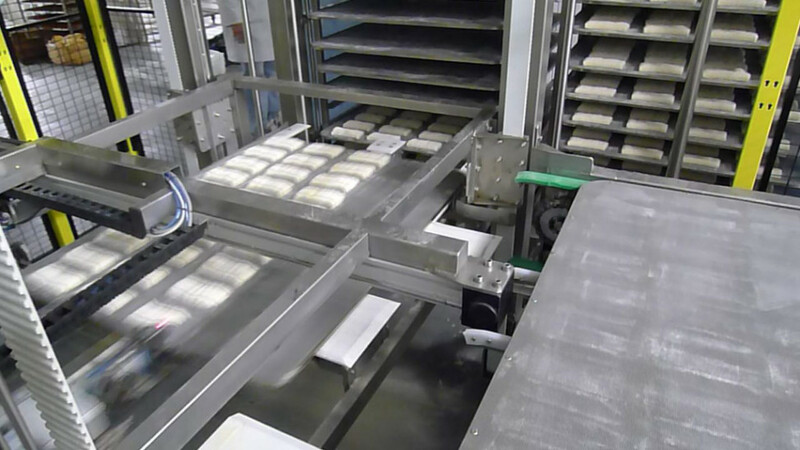 After positioning the rack system takes the empty tray and introduced to the line. 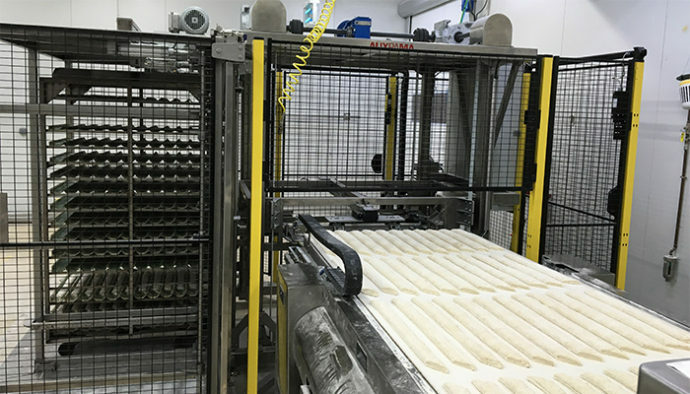 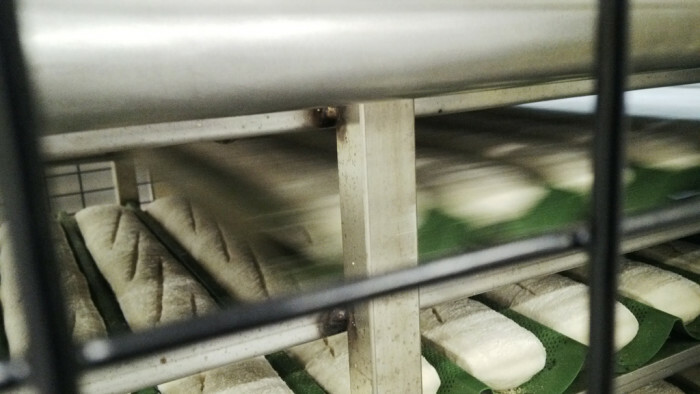 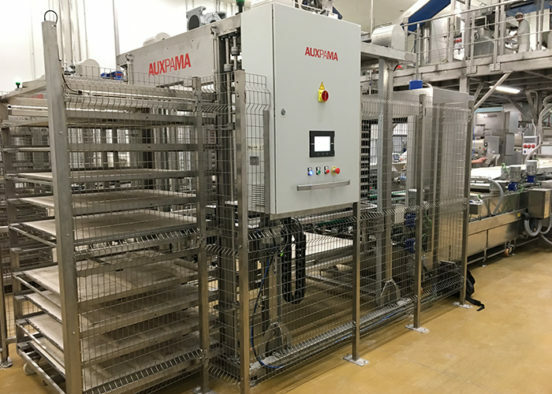 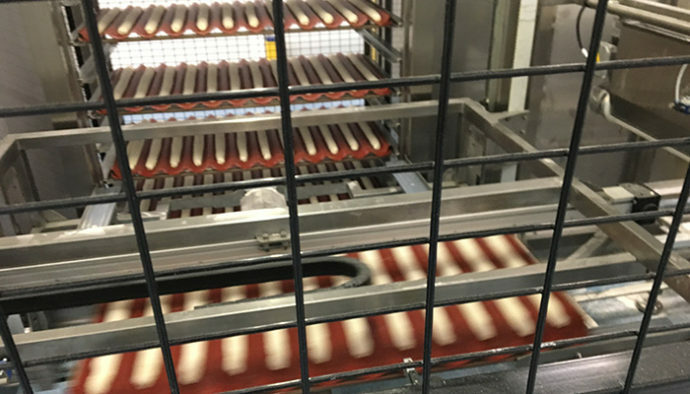 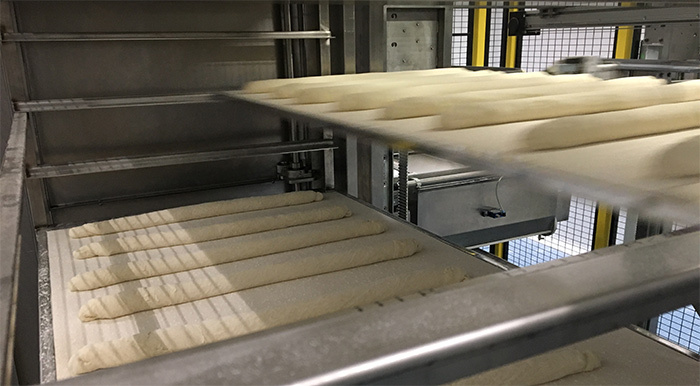 Once the product has been placed on the tray, the same system gets filled trays to the rack. 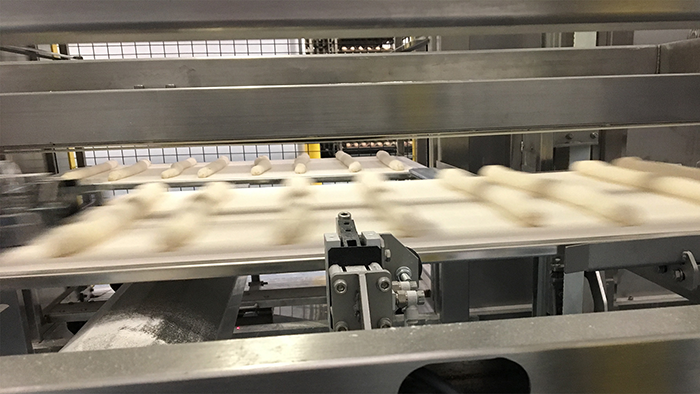 When loading a rack with trays of product is complete, the system releases rack to make the change on the other with an empty tray.